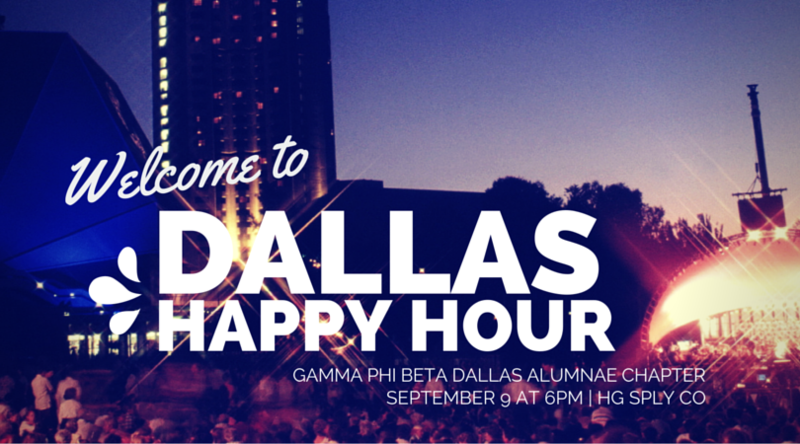 Come join us for a Gamma Phi Beta Happy Hour welcoming all recent graduates and new Dallas residents! If you RSVP and pay your membership dues in advance, your first drink will be free! We will have a pink balloon, so that you can easily locate the group. RSVP: Please RSVP & pay your membership dues by the day of the event to get your first drink free! Rain Contingency Plan: Nora Restaurant, within walking distance down Greenville Ave. Questions? Contact Elle Obarski for more information. Please RSVP and make payment below by Wednesday, September 9th. Pay your Membership Dues to get your first drink free!